We have just taken our first foray into the world of Geocaching and we are already hooked on this outdoor activity. Our first ever geocache was found as part of a friends picnic and I had packed enough to feed an army, so we were definitely prepared. 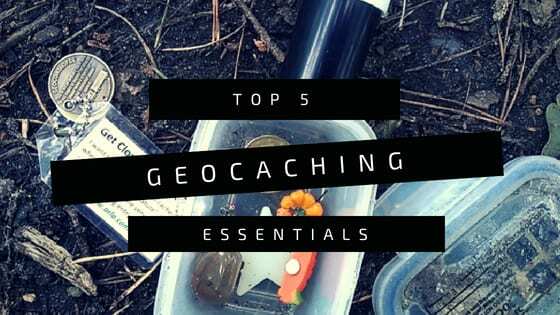 Though now, we are looking to explore specific geocaching friendly hotspots which require a little more preparation with essential we will need for our trip. What Geocaching Essentials Should You Have At The Ready? This is an absolute geocaching essential in order to record your visit on the geocache log that you find. Some cache that we have found have been in containers large enough to contain a pen, but you never know what you will find, that is part of the excitement! It’s always better to pack a couple of pens, just in case! You will need to download the official app to your phone first and foremost in order to take part and use the locator map to find cache, because you kinda need to know where you are going! A fully charged power bank is a super handy essential to boost your phone and ensure you can keep exploring! A bottle of water or two is essential for keeping hydrated on your adventure, especially in the warm weather. There will be lots of walking involved so be prepared, especially if children are exploring with you. Have snacks to hand for when everyone needs an energy boost too and to keep grumbles at bay! The containers are out in the elements, so it goes without saying that some logs that you write your name and date of discovery on maybe water damaged or even filled with names. In one that we found, I had to squirrel away in my purse for an old receipt to use! Always carry some extra paper on you, or even a new logbook strip which are reasonably cheap to buy. The main points of geocaching is that you just get out there, explore and have fun. The feeling of satisfaction when you find a cache is awesome, though it is always best to be prepared! Don’t forget to pack swags for swaps too! Swaps are little tokens such as a rubber, keyring, bracelet, button etc, something that can be found by the next geocaching fan and swapped. It only has to be small, some containers will not have the room but swaps are also geocaching essentials! Don’t forget tweezers and small swapsies too! This sounds like a great family activity! Definitely something I’ll remember once the boys get bigger!